For a user-friendly, optimum workflow, the Orthophos SL 2D combines revolutionary image quality with incomparable patented positioning aids. 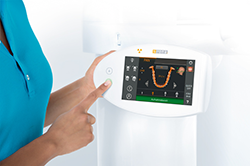 The Orthophos SL is the latest member of the successful 2D X-ray family from Dentsply Sirona. It scores on functionality, quality and design. 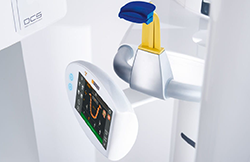 With its DCS sensor and SL technology, the Orthophos SL 2D unit satisfies even the greatest demands of dental practictioners regarding panoramic imaging. 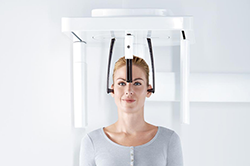 In combination with the pioneering Sidexis 4 software for image processing, the Orthophos SL also offers a unique variety of innovative solutions for the practice workflow. Investment security is ensured: Orthophos SL 2D can be equipped at any time with a cephalometric arm or upgraded with a 3D sensor up to a volume of 11 cm x 10 cm. 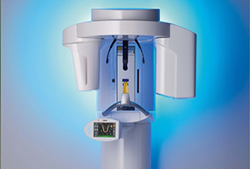 The Direct Conversion Sensor (DCS) in the Orthophos SL delivers panoramic X-ray images with an excellent image quality and with exceptional sharpness. For more certainty when making diagnoses. 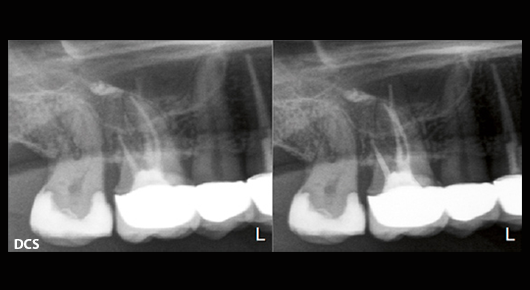 For even more precise and reliable treatment results. 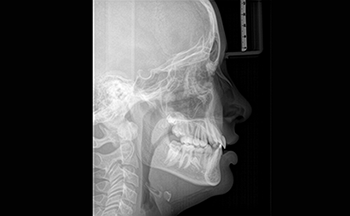 Experience groundbreaking X-ray technology thanks to DCS! 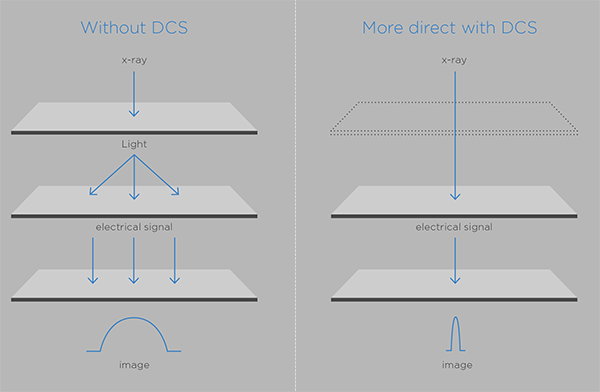 Unparalleled image quality with the lowest dose: The DCS in the Orthophos SL converts X-rays directly to electrical signals. 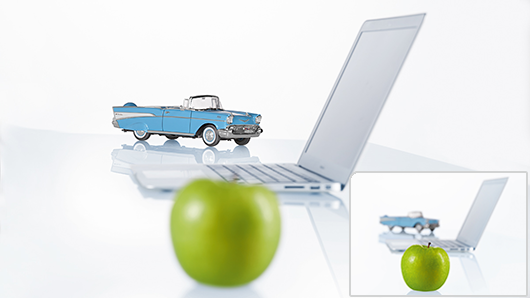 This leads to less signal loss and an improved yield of image information. This results in very high definition images. Even at an extremely low dose. 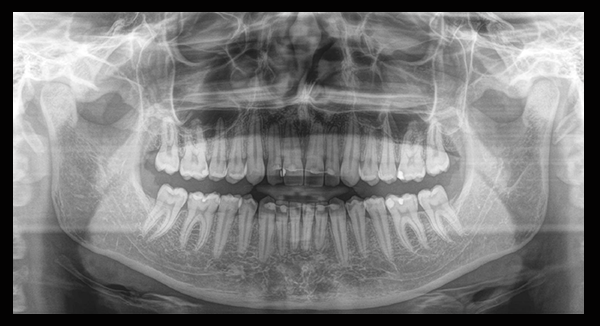 The Sharp Layer technology produces X-ray images in which the entire jaw is shown in the sharp layer automatically, taking the patient's individual anatomical features into account. 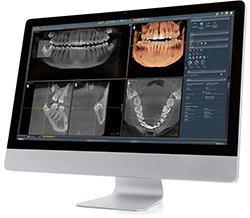 Special cases such as displaced teeth, for example, are no problem because you can define an image detail of your choice for focusing on lingual/buccal objects after scanning thanks to Interactive SL – for determining position without corrective scans. positioned X-ray images every single time. For a relaxing and modern atmosphere in your practice.